The Deva PCI Express CMM Controller is designed to meet the demanding requirements of the OEM and retro-fit coordinate measuring machine market. This objective has been achieved on a single PCIE interface card, which integrates digital IO,a Renishaw touch probe interface and a fully featured probe cycle library. Incorporating high speed, closed loop axis control within the PC, allows a highly cost-effective motion control solution. On-board signal conditioning circuitry ensures high-precision position measurement so that external probe conditioning equipment is no longer needed. 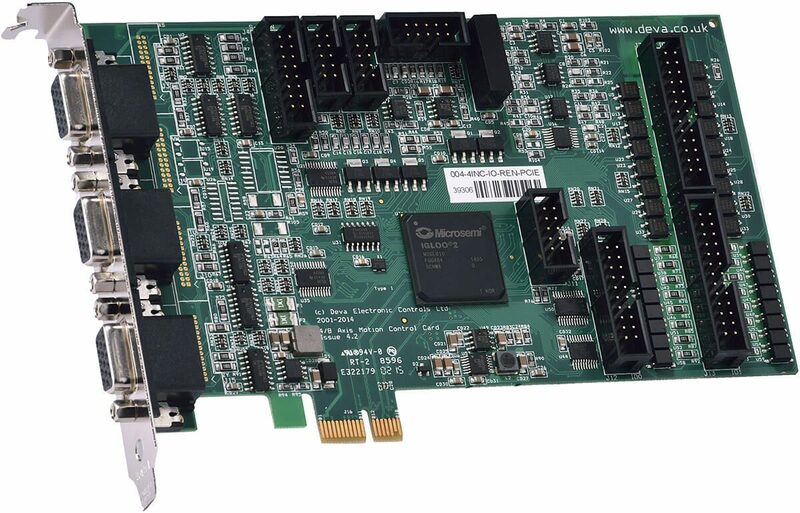 This Deva card offers 2 extra stepper output channels designated V & W, 2 encoder inputs designated T & U and 1 additional motor output with integrated zoom lens driver. Plug 'n' Play software support for 32 bit and 64 bit versions of Windows XP/Vista/Win 7/8/10 enables simple installation and automatic configuration of up to 4 controllers supporting a total of 16 axes.